The payment methods we opt are highly confidential and we have maintained a well-organized database listing all the transaction details and clients' personal details to avoid any confusion. The quality analysis system, we have, is headed by a pool of professional quality experts having rich domain experience. 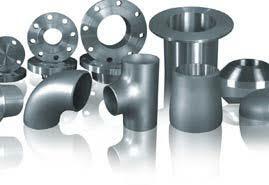 These stainless steel pipe fittings have a smooth and polished surface with excellent dimensional accuracy.